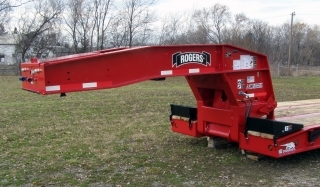 The ROGERS CR50GR is a 50-ton capacity lowboy featuring the often imitated "Gentle Riser" deck style designed to easily load multiple machines. It has the exclusive "Croucher"® low, tapered front end; the "No Foot"® Tower style detachable gooseneck; and air ride suspension. The powerful "No Foot"® Tower style gooseneck has greater lifting capacity than other gooseneck styles. 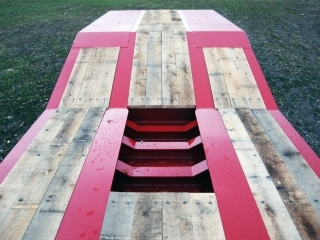 The underside has the a built-in "hat box" which gives better clearance over the tractor's frame and fenders when detaching the gooseneck from the trailer. The rear frame of the "Gentle Riser" can carry an extra machine due to its standard 1/4" wheel covers and oak center boards. 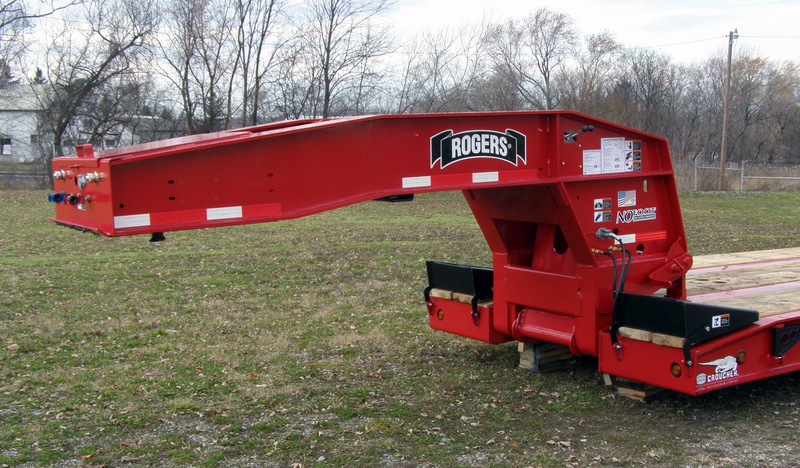 The "bucket pocket" provides a space to tuck in the bucket or boom stick of an excavator and gain better overhead clearance.